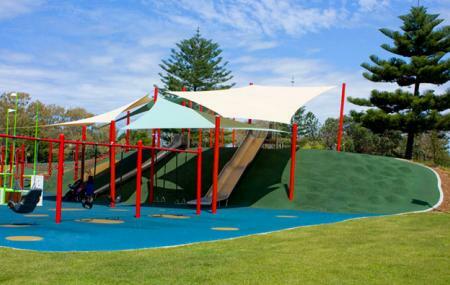 Kurrawa Pattern Park is Gold Coast’s first ‘All abilities Playground’. It provides an innovative and entertaining play venue to kids of all ages and abilities. This sea-themed playground features a giant accessible yellow submarine, a mermaid and other sea creatures, creating a thrilling ocean environment. This park has gained popularity over the course of time and is now a favourite with locals and tourists, offering an ideal place for a relaxing stroll and a family get-together. Sandcastle zone – a giant sandcastle, two large sandpits, beach ball seats and a shade structure. Carry refreshments and water bottles along. You can even set a barbeque at the site. How popular is Kurrawa Pratten Park? People normally also visit Jupiters Casino while planning their trip to Kurrawa Pratten Park. Excellent park in a very convenient and amazing place on Gold Coast beach strip. It is only few meters away from a beautiful Gold Coast beach and may be 5 mins drive from main surfers paradise beach. This park has a huge car park some of it is even free and some of them is paid. The park also has a nice place for a BBQ area. The park has really good rides, swings etc. for kids. The park also has couple of big empty grasses zones for playing football 🏈 with kids or soccer ⚽️ with kids. If you are in Gold Coast and would like to spend some family time. This place is excellent place to be in. (Please like my review if it was helpful otherwise please suggest changes if you would like me to edit). A great park with lots of room for children to run around. We had no trouble finding street parking. Lots of restaurants nearby as well. Kids love this park. Parking is an issue, but you will find one near by. It is Close to beach.